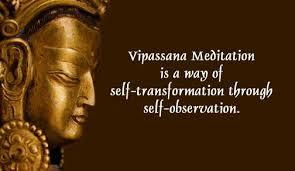 I attended a 10-day Vipassana meditation course in Aug 2014. I wrote a blog post to explain my experience. Below is the link for some background. During the course our day starts at 4AM and the last meal (you can call it dinner or snacks) is at 5PM where we get some fruits and tea. For this 3-day course, the last meal is at 11AM, yes you read it correctly! There is no food intake after 11AM and the participants will get a glass of lemon juice at 5PM. That means close to 20 hours (11AM to next morning 6.30AM) there is no food consumption! It was hard for me to digest this idea at first. After a few days I accepted this is a challenge and registered for the course. Upon investigation I found that this process is to help participants to experience a deep meditative state and get the best experience by keeping the mind alert (and the body light). Also there is no influence of food on the mind in those 20 hours. The course starts at 2PM tomorrow and finishes on Sunday (2nd Aug) at 5PM. This time the Bangalore Vipassana is providing individual rooms to participants. That’s a great opportunity for participants to experience privacy and avoid any sort of distractions during the course. I am grateful to my family for their support in this adventure. Thanks to Anusha, mom & Samyak (he reminded me to pack my meditation block this morning). I am looking forward to develop self-awareness & equanimity! 3 Days – 72 hours of Silence – 30 hours of Meditation!